This week Medtronic announced it received both the CE Mark and FDA approval for its Avalus pericardial aortic surgical valve. The company touts it as the only stented surgical aortic valve currently on the market that is MRI-safe. 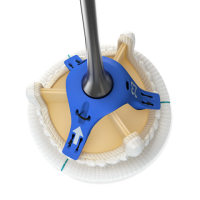 Intended to treat aortic valve disease, the device features a supra-annular design to limit central regurgitation and has an interior-mounted leaflet and frame design for improved durability. Its low-profile design aims to enable ease of implantation. Medtronic’s Avalus valve features a a supra-annular design to limit central regurgitation. Image courtesy of Medtronic. 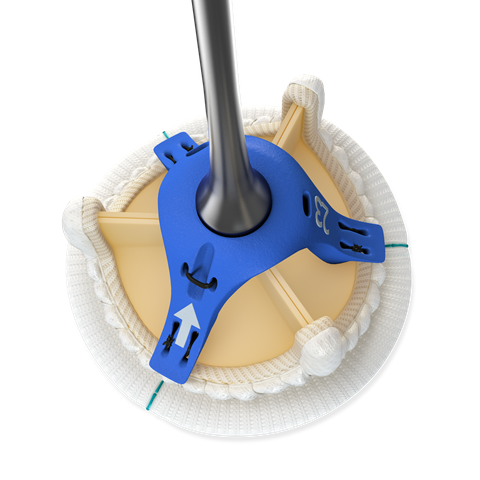 “Based on my early clinical experience, the unique design elements of the Avalus valve position it well toward meeting the expectations of durability for new tissue valves and helps ease implantation in a wide range of patient anatomies,” said Robert Klautz, M.D., cardiac surgeon and department head of cardiothoracic surgery at the Leiden University Medical Center in The Netherlands, in a Medtronic press release. 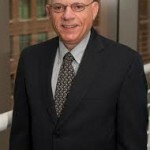 Klautz is the co-primary investigator of the PERIGON trial, a non-randomized study of more than 1100 patients across Europe, Canada and the United States, the data of which was used for CE Mark and FDA approval of the Avalus valve. Results from the trial revealed low rates of adverse valve-related events, high survival and improved hemodynamic performance at one year. Patients in the trial will be followed for five years. Medtronic states that the Avalus valve will be available later this year.